A record number of students--5,002 to be exact--applied for admission to the class of 2019. Numbers are also up for students of color, students who have selected Smith as their first choice through early decision, and international students. Read a Q&A with Audrey Smith, vice president for enrollment, to learn why. 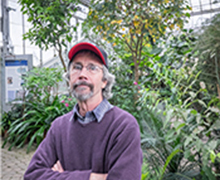 Rob Nicholson, manager of the Botanic Garden's Lyman Conservatory, traveled around the world collecting plant samples. Sound easy? Wait until you read about some of his adventures featured in the latest edition of Insight. 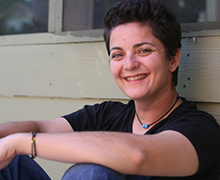 Luma Mufleh '97, coach and founder of Fugees Family, is just one of the keynote speakers at the Smith College Women’s Leadership Conference: Taking the Right Risks, Friday and Saturday, March 27-28, 2015. Register today! Learn how the Smith-Tuck Business Bridge Program will combine Smith's signature learning environment and the dynamic, highly personalized approach to executive development of Dartmouth's Tuck School of Business. Alumnae, parents and friends from five cities around the country are rallying together to support Smith and women's education. Join them by participating in the Smith Fund's Multi-City Philanthropy Challenge through February 20. 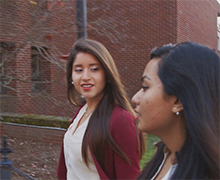 Smith College Executive Education for Women will begin offering online courses this March. First in the series is “Take Control of Your Online Reputation,” with marketing strategy consultant Dorie Clark '97. Click here for information about future courses. Smith’s Admission Policy Study Group, formed in the fall amid national discussions about transgender students at women's colleges, has begun its work meeting with faculty and students, reviewing literature and collecting feedback on the issue. For information, updates and to offer your thoughts, click here. The Office of Alumnae Relations is looking to start a virtual affinity group for alumnae with disabilities. Please contact Devin Shuman '14 at devin-shuman@comcast.net by March 15 or go to Smith College–Disabled Alumnae on Facebook.